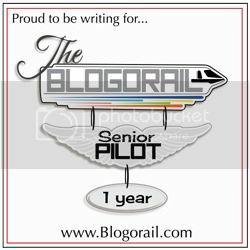 Welcome to this month’s Blogorail Green Loop. Today we are sharing some of the best snacks you can find in the Disney Parks. This article is going to focus on two of the best ice cream shops that Walt Disney World has to offer. The Plaza Ice Cream Parlor on Main Street USA in the Magic Kingdom and L’Artisan des Glaces located in the France Pavilion of EPCOT’s World Showcase. These ice cream shops are both very good and both provide a completely different dining experience to the guest. The Plaza Ice Cream Parlor is a much larger shop with both inside and outside seating. The parlor has a lot of variety on its menu. Like most good restaurants or snack stops, it has two “tent poles” on the menu. The first is the traditional double scooped ice cream where guests can mix and match flavors of ice cream on their ice cream cone. The second is the ice cream cookie sandwich. This item combines two freshly made chocolate chip cookies with a scoop of ice cream. Be sure to eat this item very quickly as the warm cookies can quickly turn the ice cream into ice milk. Guests also have three different sundaes to choose from on the menu. The Plaza Ice Cream Sundae which comes served in a waffle bowl. Also available is a traditional All-American Ice Cream Sundae. The Plaza Ice Cream Parlor serves Mickey’s Kitchen Sink Sundae which comes with two scoops of ice cream, your choice of sauce (hot fudge, chocolate, peanut butter, or caramel), whipped cream, and two cherries. A sundae worth sharing. L’Artisan des Glaces has a much smaller menu compared to the Plaza Ice Cream Parlor and a much smaller location. Guests can get a single or double scoop of ice cream in either a dish or waffle cone. Also on the menu is a macaron, the Croque Glace – my personal favorite, or an ice cream martini. I have talked about my love for the Croque Glace many times on this blog. I prefer it to the Plaza’s Ice Cream Sandwich. The sealed edges of the Croque Glace make the sandwich a lot less messy. Even though, the sandwich is put into a press, the ice cream still takes a long time to melt even on a hot Florida day. There is no inside seating at L’Artisan des Glaces. All of the seating is outside the shop or you can go, next door, into Boulangerie Patisserie for indoor seating. Is one shop better than the other? It’s tough to say. Both shops provide different methods to get ice cream (cones, sandwiches, sundaes, etc.). and both provide different seating experiences to the guests. I will say there is something about having an ice cream cone from the Plaza and watching people walk up and down Main Street USA. There is nothing better than eating an ice cream cone on Main Street USA while waiting for a parade. I really love L’Artisans de Glaces mainly because of the unique ice cream options they have. The croque glaces is my favorite! I have to say I prefer the L’Artisan des Glaces. Even though the prices are steep the chocolate is so much richer. The coffee ice cream alone will have me back. I prefer L’Artisan des Glacés too. I’m a huge fan of the White Chocolate Coconut ice cream. How in the world can you even choose? I think I agree about how special sitting and eating a Plaza ice cream cone.